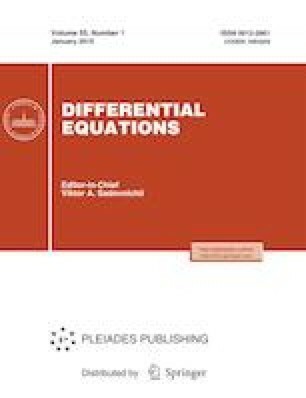 We study the well-posedness of a linear inverse problem for a multidimensional mixed-type equation including the classical equations of elliptic, hyperbolic, and parabolic types as special cases. For this problem, using the “ε-regularization,” a priori estimate, and successive approximationmethods, we prove the existence and uniqueness theorems for the solution in some function class. Russian Text © S.Z. Dzhamalov, R.R. Ashurov, 2019, published in Differentsial’nye Uravneniya, 2019, Vol. 55, No. 1, pp. 34–44.